Visual marketing is at the forefront of any business or brand. Social media is extremely important in achieving that. Having images to reflect your brand and business story will help your business get noticed, if you have the right tools to present them. Stencil knows the importance of creating images for business in a fast and efficient manner. ViralTag is a social media scheduling tool that concentrates on visual marketing. 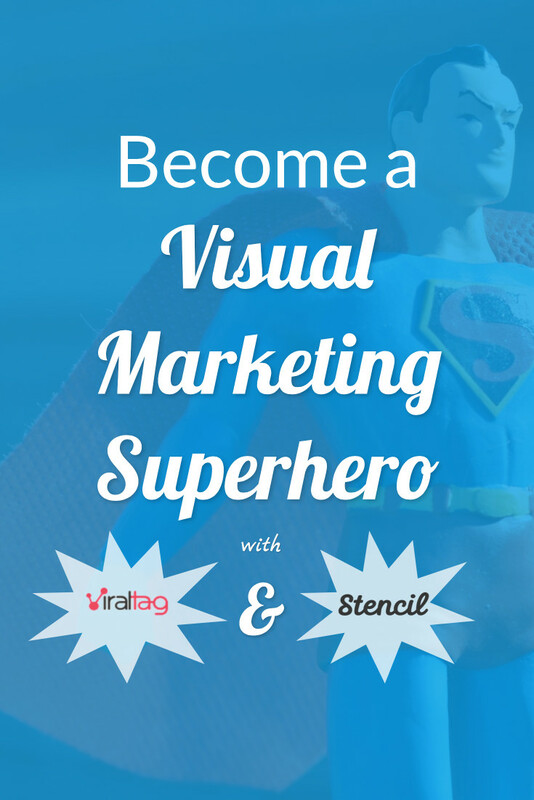 That’s why ViralTag and Stencil have teamed up to give you visual marketing super powers! 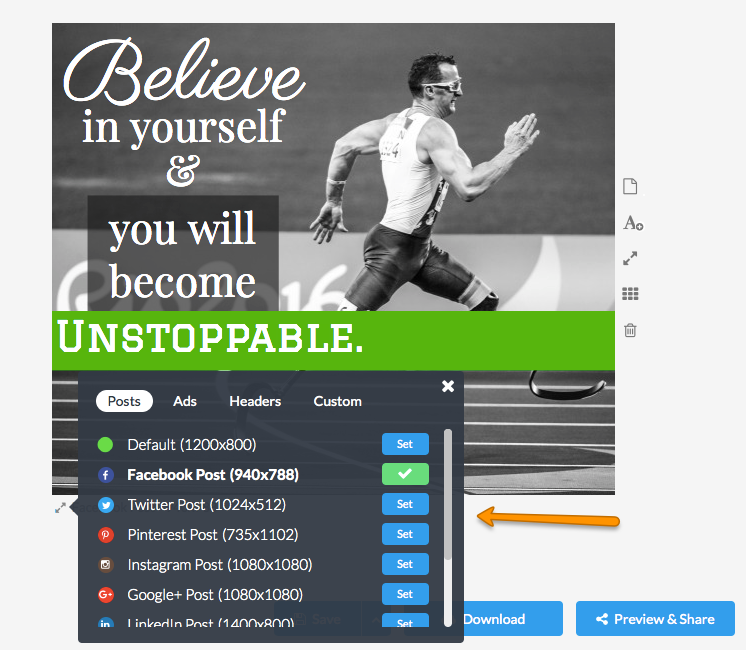 First, create social media images for your business by using Stencil. If you get stuck and need a bit of inspiration, take a look at the templates that are readily available, to tweak with little effort. You can make your own design to fit your business needs. Find a template that will work for you. When you create your own design that works for you. You can make it into your own template to use over and over again with a simple change of a background and text. Templates save an immense amount of time! Remember it’s just a click of a button to change the image into a Facebook, Twitter, Pinterest, Instagram, etc. post! As simple as a click to resize images. Not sure what kind of quote image to create? Simply find a quote in the Stencil’s quote library or if you’ve found a quote around the web you can use Stencil’s super fast browser extension to highlight the quote and create an image on the spot. Click Save and download the images and save them to your computer or save computer space by using Google Drive or Dropbox (easy access in ViralTag – read on!). *Time-saving tip* – Create batches of images in one sitting by dedicating 15-30 minutes a week. Are you ready to become a visual social media superhero? 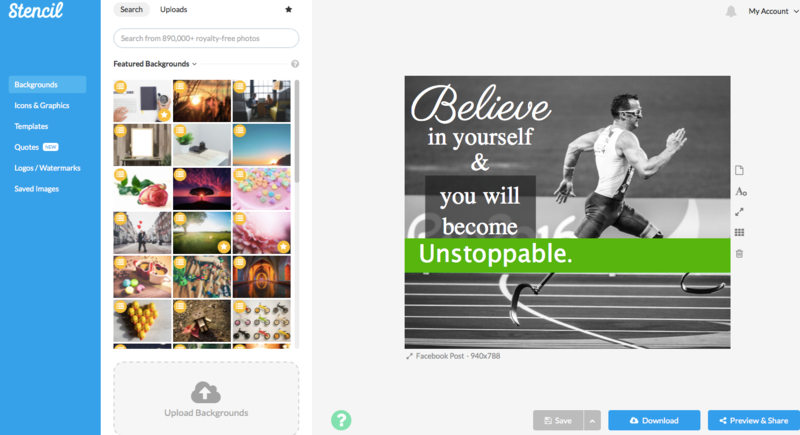 With all the fabulous images that you’ve created in Stencil, you’ll now need to share on social media. 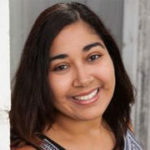 How can you do that and make sure they look exactly the way you want and save time at the same time? ViralTag is the social media scheduling tool that helps you create social media posts in a fraction of the time. ViralTag is the perfect tool for people who work better in a visual environment. The user interface is not only easy on the eyes but you see exactly what will be posting on social media. Click on the plus sign to start a post. To create a post simply click on the plus sign in the red box. You’ll find the below image where you can pull images from your computer, Google Drive, Dropbox, Facebook, Flickr, and Instagram! When you access where your images are then you can select which ones you’d like to create a post for. 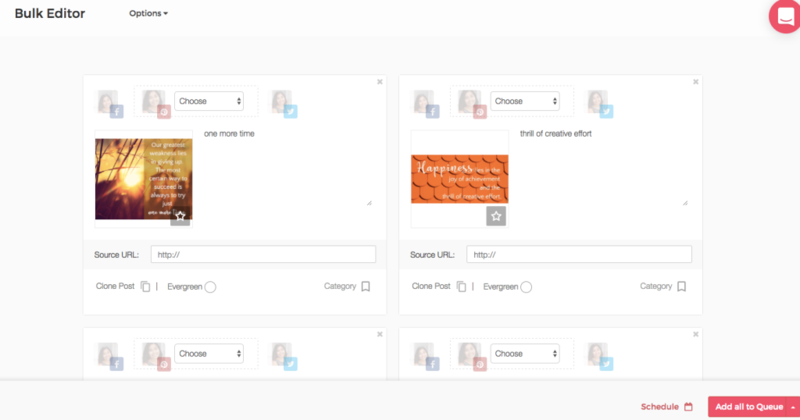 Then a Bulk Editor will pop up to create posts for the social media accounts you have connected. Work on multiple image posts (no limit on posts) and schedule them all at once. Of course, the copy you have for Facebook and Twitter would vary so you’ll want to click on the Clone Post button to have a post specific for each social media platform. 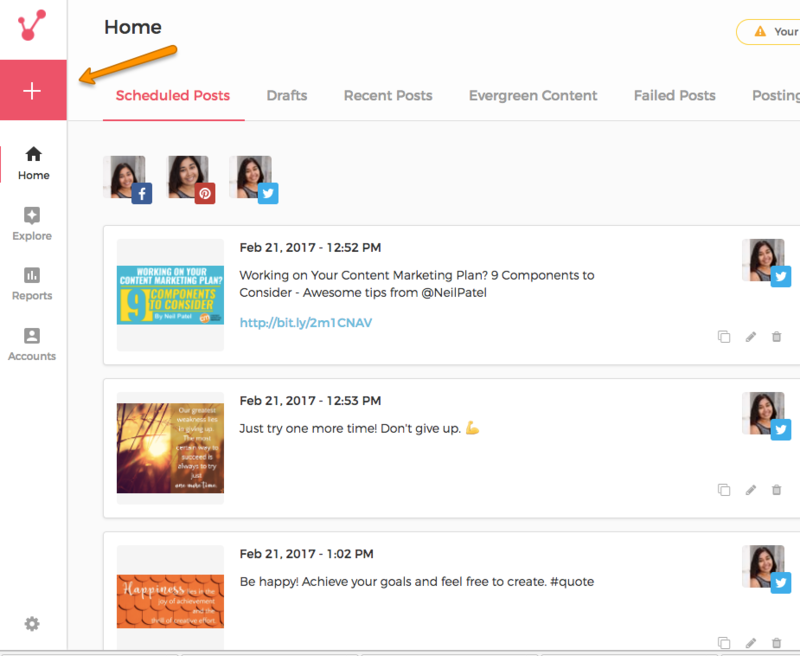 Once you’ve completed your posts in the Bulk Editor, then click on schedule posts or add to queue. Boom! That’s it. What’s fascinating about ViralTag too is that all those old images you’ve created in Stencil and posted long ago can be repurposed by simply accessing your Facebook Pages or Albums, Flickr, and Instagram accounts. If that’s not a super power I don’t what is?! Being able to repurpose content with just a few clicks is fantastic news. See all the photos you have on Facebook you can share. You can either find the images through a list or click on Show Files to visually see what was posted. Super cool? Yep, we think so. It’s on all access to the files for Drive and Dropbox too. I’m a visual person, so whatever I named a file a year or two ago, well I have no clue what is so being able to see it is such a great help. ViralTag also has a super browser extension just like Stencil! Say if you’re in Pinterest and see an image that would be great to share, a simple click on the ViralTag icon on the image can be scheduled into your social media queue. Genius! Are you ready to unleash your super powers? We know how important it is to save time and money on your business for social media. Stencil and ViralTag have teamed up! ViralTag knows how crucial visuals are and we know how crucial social media scheduling is. We have superhero deal where you can get a free trial to ViralTag for 2 whole months*! The code expires on March 31, 2017 at 11:59PM EST so you’ve got to sign up now to give your powers a whirl!